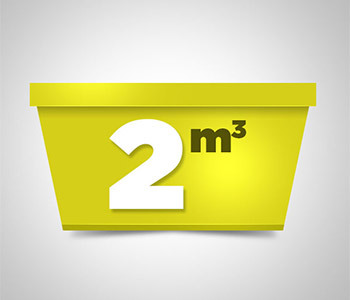 2 Cubic Mtrs will hold approximately 2 cubic meters of the waste. Ideal for small DIY jobs or shed and room clearances. It is best for all non-hazardous mixed waste materials. If you’re not sure what size you need just give us a call or fill the contact form and upload some images. We will access the situation and then will offer any advise depending upon the waste you have. Our fully trained staff will also always notify you of any eligible discounts, helping you save some handsome amount. The things that grows above ground level in your yard can go in this bin. So, it is ideal for large hedges, tree cuttings and a good cleanup of leaves. 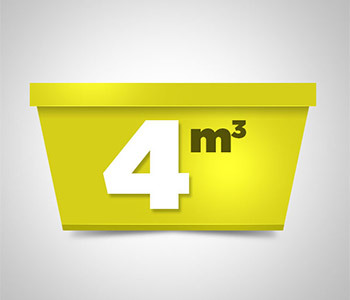 It can hold almost 4 cubic meters of waste. It is suitable for garage clearances. It is suitable for all non-hazardous mixed waste materials. Ideal when removing carpet or larger materials of building waste. Any type of brick or concrete can go in this skip bin. Suit any job from residential clean ups & renovations to small commercial construction. 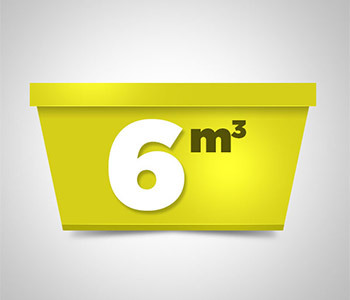 If you are doing construction or renovating work in your home and need a Skip Bin to get rid of the waste, then 6 Cubic meters skip bin are the ideal choice. It is easier to load in these bins.